New study compares Fairtrade International to Small Producer Symbol | Small Farmers. Big Change. « A New Perspective on Combatting Climate Change: Support Soil & Small Farmers; Not Oil and Big Agriculture! 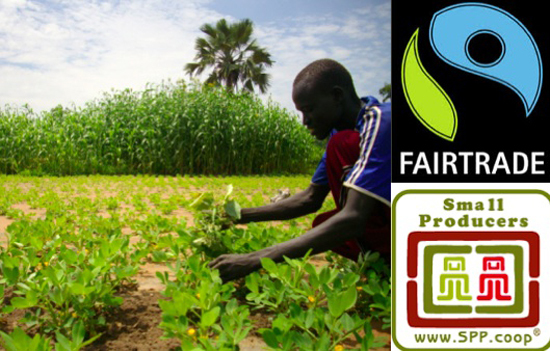 Interested in Fair Trade certifications but still confused about the difference between Fair Trade International and the Small Producer Symbol? Read a brief synopsis from Fair World Project of a new article by Patrick Clark and Ian Hussey which compares the two. A new article by Patrick Clark and Ian Hussey just published in New Political Economy compares the certification systems of Fairtrade International (FTI) and the Small Producer Symbol (SPP), looking at internal and external oversight, governance structure, and covering the history of fair trade certification through which FTI evolved and SPP emerged. For those wanting a theoretically-grounded, academic overview of these two systems and some key issues in how fair trade certification functions, this is an excellent overview. A few key points were made that would be of interest to even the average observer. Read more here.